Martin Luther King Jr. was the most important voice of the American civil rights movement, which worked for equal rights for all. King was also a Baptist minister. He was assassinated in Memphis, Tennessee, when he was just 39 years old. There is a famous shrine town, Trivellore, near Madras. Near there is a smaller village, Kammavaripalayam. Living here was one man by name of Sri Venkatappa Naidu. He married one Subbalakshmi of Parlapalle Village in Gudur Taluk of Nellore District. 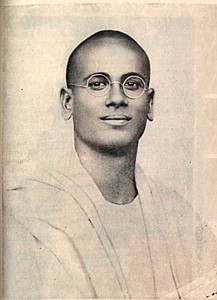 A male child was born (10.10.1894) named Venkatasubbiah, taking both his parents names. When the child was three years old his father transferred to Pennalurpet. His mother taught him a valuable lesson arising from an argument that carried over from a heated exchange in school. The other boy grew angry to the extent of beating Venkatasubbiah. 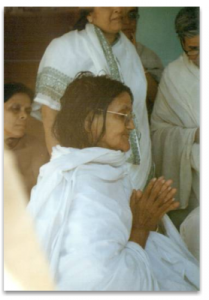 Anandamayi Ma is a woman-saint of Bengal who lived from 1896 – 1982. Anandamayi Ma defied all conventions, initiated herself and her husband into the sacred state and often gave signs and displays of a divine incarnation. Ma was not attached to her devotees (she had many) and was honoured and venerated as a divine incarnation toward the end of her earthly sojourn. She wrote no books and gave very simple teachings to her devotees. Her name means “Ever-blissful Mother”.